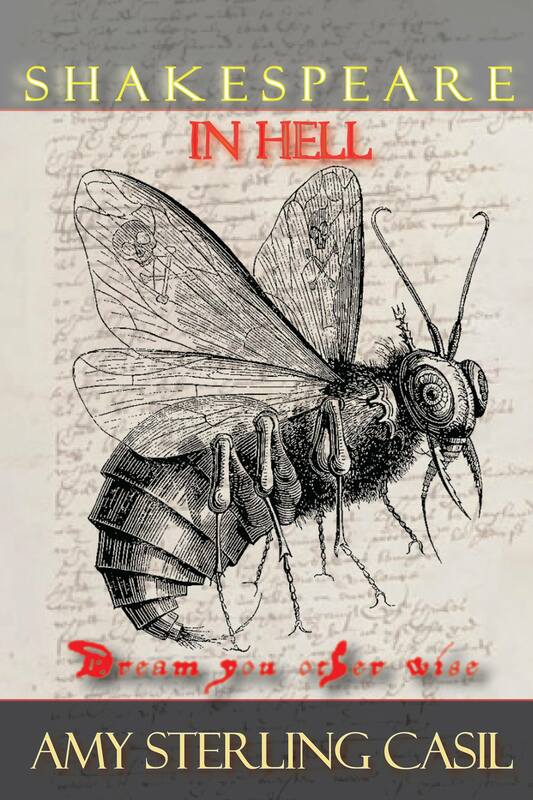 You can purchase Shakespeare In Hell on Amazon. In Hell, there are many writers. Can Will Shakespeare, the most human of the great writers, dream himself out of Hell, where he has been for generations? The Lord of the Flies, Beelzebub promises the great writers in Hell a "Get Out of Hell Free" card if only they write a great play, but the one he really wants is Shakespeare, who will not write. And it is not the words to save Will Shakespeare, nor Oscar Wilde, nor Edgar Allan Poe, nor the Dark Lady of the Sonnets ... not even the biggest "yes" man ever known, Nixon's Bob Haldeman. It is their dreams and their courage. Dream you other wise, Will Shakespeare. Dream yourself out of Hell. From the author: Let me tell you a story. It is a tale, told by a woman, full of hope and terror, signifying love.